Thanks Brook. I might have overstated the difficulty a little. The process as outlined does keep one focused. There just won't be much spare time to do anything else. So when you're making roti, you're making roti. It's really not difficult, just busy if that makes sense. A rhythm develops. . Anyway, The roti are all but cooked when they hit the burner. They're thin anyway. The pan cooking produced a sealed outer skin and some browning in spots, not unlike what you would see on a commercially produced flour tortilla. So what's happening on the flame is the addition of concentrated intense heat to flash the moisture inside into steam, inflating the roti. There will be some very localized burning, but being quick and watchful prevents any serious problems. You can burn a hole and let the steam out before they inflate if you aren't careful. In essence, you're looking for trouble when you're looking at the bottom of the roti. You're preventing trouble when you rotate the roti. Many have heard of Naan. That wonderful flat bread encountered in India and in Indian restaurants. This bread is leavened and has other additions, so takes Roti to another level. Great with any soup or stew and of course most Indian meals or just by itself with a little more Ghee. This is normally made in a tandoor. A big conical wood fired clay oven that reaches well over 800F. I don't have one of those. So, the following includes adjustments for the American home kitchen and cook. I think you'll find the results quite satisfactory. I did. I've made this several times too. Dissolve the yeast in the water and allow to set for 10 minutes. In a bowl mix the flour, salt, baking soda and sugar. Add the ghee and yogurt and mix to make a crumbly dough. Add the water/yeast mixture and mix and knead till dough is smooth and soft. Cover and keep in a warm place till it doubles in volume. Maybe 3 or 4 hours. Place oven rack on one step higher than the middle. Heat oven to 500F with a pizza stone or all your cast iron pans inside for 30 minutes past reaching temperature. Switch from oven temp to broiler heat. Knead the raised dough for 3 minutes and divide into 6 equal pieces. Dust a counter top with flour and roll the dough out into 8" or so oval shapes. Open the oven door and wet your hands and flip flop a Naan between the palms of your hands a few times then onto the stone or into a pan. Close the door. Continue wetting hands, flopping Naans and putting in oven till space in the oven is filled, close the door and wait just 2 or 3 minutes. The Naan should be brown on top and it's done. It cooks quickly so keep an eye on them. Remove from oven and immediately brush lightly with ghee and place Naans where they will stay warm while you wait a few minutes for the oven to get hot again so you can cook the rest on your breads. This stuff will puff up considerable in the oven, but not like Roti. Now you folks know everything I know about bread. One point that should be made is that naan made at home can never equal the traditional stuff, because home ovens do not get hot enough. Naan is made in a tandori oven, a roughly conical shaped one whose temperatures can well exceed 1,200F. Tandori cooking is the opposite of low & slow. The shaped naans are slaped onto the inner walls of the oven, and, literally, take only a few seconds to bake. The slight char flavor on the exposed surface contributes to making naan what they are. But don't let that stop you from trying Rod's recipes. Naan is one of the great flatbreads of the world. Stuffed and filled breads can be thought of as a separate category. There’s not much difference in how you mix the dough. But handling and shaping are often more complex. Plus, because of the fillings, the liquid content sometimes has to be adjusted. Russian Sauerkraut Bread is an example of how the filling can affect moisture content. These adjustments are nothing you shouldn’t be able to handle by this point. So, if you have a favorite bread, and want to add sliced green olives to it, go ahead and try it. Is there a difference between “stuffing” and “filling?” Technically, no. They’re just different words for the same thing. But I think of them differently. To me, a stuffing is something that goes into the middle of the bread, with dough sandwiching it one way or another. The Peach Couronne I referred to in Part 10 would be an example of a stuffed bread. A filled bread, on the other hand, is one that has the filling ingredients incorporated throughout the dough, or has them pressed into it. Focaccia, which is often made with “toppings” like olives, cheese, and anchovies, is a good example of a filled bread. For the sake of convenience, however, we’ll just refer to all of them as filled breads. What can be used as a filling? Among the more common ingredients, used alone or in combination, are olives, anchovies, nuts, cooked eggs, ham and other charcuterie, dried & glazed fruits, cheeses, and vegetables. The list is endless, limited only by your taste preferences. Because they are more time consuming to make, and are often formed into complex shapes, filled breads are often reserved for holidays and festive occasions. Many of them, as it happens, become associated with that special event. Panattone is a classic example of this. Like so many specialty breads, there is a romantic tale behind it. In short, a baker in Milan spent six months developing a bread in order to impress a lady. Unfortunately, they never got together. 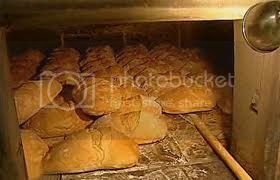 But he started selling the bread in his shop, under the name “Pane di Toni” (Tony’s Bread) This eventually got corrupted to Panattone. 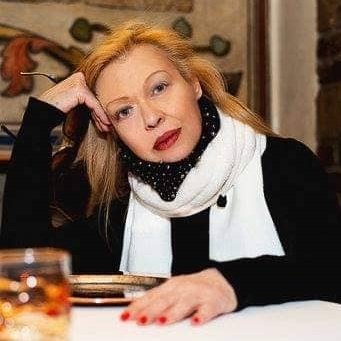 It’s very popular throughout Italy, particularly at Christmas, and has become associated with Yuletide celebrations. Panattone is an enriched, fruit-laden bread almost cake-like in texture and taste. Sprinkle the yeast into the milk. Stir to dissolve. Let stand for five minutes until frothy. In a large mixing bowl mix the flour and salt. Make a well in the center of the flour and pour in the dissolved yeast. Draw enough flour into the yeast to form a soft paste. Cover and let the sponge develop, about 20 minutes. Mix in the flour from the sides of the well to form a stiff dough. Turn the dough out and knead until smooth and elastic, about ten minutes. Transfer the dough to an oiled bowl, cover, and set in a draft-free location until doubled in bulk, about an hour. Punch down, rest for ten minutes. Lightly grease a round mold, a deep cake pan, or a small saucepan about eight inches across and six inches deep, with softened butter. Line the base and sides of the mold with buttered baking parchment so that it extends 5 inches above the top. Knead seven tablespoons softened butter, the egg yolks, sugar, citrus, rains, nutmeg, zests and vanilla extract into the dough until thoroughly combined, about five minutes. Shape the dough into a round loaf, put it in the prepared mold, and cut an “X” across the top. Cover and set in a draft-free location until doubled in bulk, about two hours. Brush the top of the dough with the egg glaze. Bake for 45 minutes, until a skewer inserted into the center comes out clean. Remove from the mold and cool in the baking parchment on a wire rack. Dust the top with confectioners sugar. There are at least as many filled savory breads as sweet ones. Many of them, like focaccia, are more or less flat breads. Among my favorites is Fougasse, a bread from Provence typically eaten on Christmas eve. After Midnight Mass, people from the region celebrate with a tradition of 12 sweets (symbolizing the 12 Apostles), surrounding a Fougasse centerpiece. Fougasse translates as ladder bread. 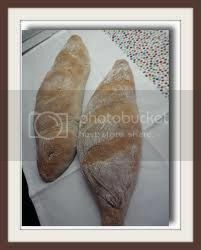 Originally it was shaped into an oblong, with a series of slightly diagonal slashes made through the dough and opened. When baked, this resembles a ladder. While that shape is still used, there are many variations. I like flattening the dough into an oval, and making two rows of chevrons, leaving a center strip. I’ve even seen them cut to resemble a Christmas tree. Every family has its favorite version. Very often the bread is made plain, as a foil for the 12 sweets. But it’s often filled, as well, with savory items. This version uses cheese and nuts for one ladder, anchovies for another. Prepare a Pain de Campagne dough through the first rising. Punch down the dough, divide in half, and set one half aside. Flatten the first half into a rectangle. Sprinkle on the cheese and walnuts. Tri-fold the dough over on itself. Repeat with the second half, sprinkling with the anchovies. Shape each piece into a batard. Flatten the dough into a long, thin oval, for traditional ladder bread, or into a wide one if using a different pattern for the cuts. Make the cuts, opening them slightly. Transfer the Fougasse to prepared baking sheets, cover, and set in a draft-free location until doubled in bulk, about 30-45 minutes. 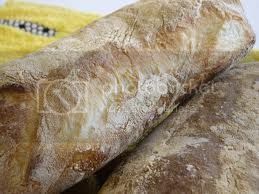 Brush both loaves with a little olive oil and bake for 25 minutes or until golden. Transfer to a wire rack to cool. Couronnes, or crowns, are often used for festive occasions. Simply put, a crown is a ring of dough that looks as if it were baked in a savarin mold. Creative bakers take it a step further. For instance, Peter Reinhart uses a dowel rod to crease the four quadrants of the circle. This makes it more squarish than round, and provides a textural break. Perhaps the ultimate in manipulating couronnes is to turn them into filled twists. The fillings used for this can be savory or sweet. This one happens to be savory. Caution: This is the most complex bread I’ve presented. Be sure to read---and understand---the instructions before proceeding. And before to have the mise en place ready for the filling. 1 tbls fresh grated Parmesan cheese. Mix the flour and salt together in a large bowl. Rub in 3 tablespoons of the butter. In a small bowl, mix the yeast with the milk & water, let it proof until frothy, about five minutes. Add the yeast to the flour, along with the egg, and mix into a soft dough. Transfer the dough to a lightly floured surface and knead ten minutes until smooth and elastic. Transfer to an oiled bowl, cover, and set in a draft-free locations until doubled in bulk, about an hour. Punch down the dough and turn out onto a lightly floured surface. Roll out into an oblong about ½-inch thick. Dot half the remaining butter over the top two-thirds of the dough. Fold the bottom third up and the top third down and seal the edges. Turn 90 degrees and repeat with the remaining butter. Fold and seal as before. Cover and let rest 15 minutes. Turn the dough 90 degrees. Roll and fold again, without butter. Repeat once more. Wrap in lightly oiled plastic film and let rest in the refrigerator 30 minutes. Meanwhile, heat the oil for the filling. Add the onions and cook for ten minutes until soft and golden. Remove from the heat and stir in the bread crumbs, almonds, Parmesan, salt and pepper. Add half the beaten egg to the mixture and bind together. Using a very sharp knife cut the roll lengthwise (I find this works best if you follow the seam). Keeping the cut sides upwards, braid the two halves together. Shape into a ring, weaving and pinching the cut ends to assure they seal. Transfer the ring to the baking pan, cover, and let rise in a draft-free location, 30 minutes. Brush the remaining beaten egg over the dough. Sprinkle with sesame seeds and Parmesan cheese and bake for 40-50 minutes or until lightly golden. Transfer to a wire rack to cool. This is an exception to the general rule, in that it can be served still warm from the oven if desired. *To make rolling easier, transfer the dough rectangle to a kitchen towel. Spread the filling. Then use the towel to life and turn the dough over on itself---sort of like using a sushi mat. I’m going to subtitle this installment “bits and pieces.” It’s nothing more than a collection of bread baking tips and techniques that I’ve learned, that work for me. They’re in no particular order. Sheet pans. If you’re using those thin cookie sheets sold in supermarkets, do yourself a favor and invest in some sheet pans instead. Unlike cookie sheets, sheet pans will not warp and twist in the high heat of a bread-baking oven; they are sturdier for lifting and moving; they can double as a mock-baking stone; and, in general, are better choices. Plus you’ll find all sorts of other uses for them in the kitchen. I do much of my prep work with them. Make sure you get the right size for your oven. Unless you have a 36” oven (and few of us do), a full sheet will not fit. But half-sheet and quarter-sheet pans will. Sheet pans aren’t all that expensive, not much more than some cookie sheets. In the box stores you’ll find half-sheets for about ten bucks. But check out any restaurant supply houses in your area, and you’ll do even better than that. Some places (Gordon’s Food Service is one) have plastic lids that snap fit to sheet pans, turning them into ideal storage containers for some items. Unfortunately they only come in full sheet and half sheet sizes. Loaf pans. Loaf pans come in a range of sizes, technically rated by the weight of bread they produce. Generally they are sized as 1-lb, 1 ½ lb, and 2-pound. This didn’t used to be a problem from home bakers, because only the 1-lb pans were generally available. Nowadays you can find a loaf pans just about anywhere in a diverse range of sizes. And some non-stick pans are not made to standard sizes. What this means is that if you’re having loft problems with your bread---it’s either not rising enough, or is over-flowing the pan---it might be your pans, rather than your recipe or work methods at fault. Keep in mind, too, that glass and metal absorb and retain heat differently. Most bread recipes assume metal pans. If you’re using glass you’ll have to adjust baking time, temperature, or both. Cornmeal and semolina are about the best release agents you can find. Not only do they prevent doughs from sticking, they add a bit of flavor (and, sometimes, color) of their own. To prep loaf pans and other molds, lightly grease them. The key word here is “lightly.” Then pour a handful of the grain into the pan. Shake and rotate it until the bottom is coated. Then do the same on each side in turn. For sheet pans, don’t even bother with the grease. It contributes nothing, and could lead to frying the bottom of the bread. Instead, just dust the surface of the sheet and place your dough on it. If you want, you can lay-down a sheet of parchment paper first. This will help keep the pan clean, but isn’t really necessary for baking. Awhile back I saw what may be the stupidest, and certainly the most unnecessary direction in bread baking history. It said to first oil parchment paper, then dust it with cornmeal. Yeah, right! Modern parchment paper is silicon impregnated. Oiling it serves no purpose whatsoever. Baking stones are very useful. As detailed above, they regulate the oven and help provide a consistent temperature. Mine lives permanently on the bottom of the stove. Many breads are baked directly on a stone. But this presents some challenges. If you keep one always in the oven, as I do, it is in the wrong position (breads should be baked in the middle of the oven), and awkward to use. This leaves you a choice. You can either move it, as necessary. Or you can buy a second one, and place it on the middle rack when needed. Using a stone to bake on also means investing in additional equipment. At a minimum, you need a peel to put the bread in and out of the oven. A peel is, essentially, a thin, oversized paddle, made of either wood or metal. You dust it with cornmeal or semolina, place the dough on it, and line it up on the stone. A sharp pull, and the dough slides off. Alternatively, use an inverted sheet pan. Set it on the middle rack of the oven while it preheats. When ready, remove it, dust it, lay the shaped dough on it, and immediately return it to the oven. Works just as well. Flours should not be stored in the paper bags they come it. Yeah, yeah, yeah. I know that’s how your mamma did it. She’d remove what she needed, roll down the top, and slip it into a cabinet. Fact is, that’s a good way to assure pests. Everything from mice, to ants, to weevils can find their way into the flour that way. Instead, transfer the flour to a sealable container. I happen to use large tubs available from restaurant supply houses, that hold eight pounds of flour each. But any appropriate sized container will do. Rubbermaid, among others, makes a whole range of them. If you prefer, you can leave the flour in its original bag, and put the whole thing in a sealed container. But it’s not necessary to do so. FWIW, I store my sugar the same way. Measuring utensils are not all the same. For instance, glass measuring cups are designed to measure liquids, whereas metal ones are designed for solids. But, due to manufacturing methods, different brands of the same utensil can be different. One brand or model of, say, a tablespoons might measure more or less than a different brand or model. Does this mean you need discrete measuring tools for your bread baking? Not at all. But it does mean you should be consistent, and use the same ones each time. Storing bread presents an interesting challenge. In theory, bread keeps best either frozen or at room temperature, but should not be kept in the fridge. Why not? Bread kept in the fridge tends to dry out quickly, even if stored in a plastic bag. I reserve comment on that. Suffice it to say I keep bread in the fridge all the time. There’s just the two of us, here, and I’d waste a lot of bread if I didn’t. That aside, if you want to retain the crispness of lean, crusty breads, they should be stored in paper, never in plastic. These sorts of breads go stale fairly quickly, though, and are best eaten the day they are baked. Soft, enriched breads, on the other hand, are best stored in plastic. Frozen bread should be pulled from the freezer at least two hours before you intend serving it. To rewarm thawed breads, heat the oven to 400F. Cover the bread with a damp towel and pop in the oven until warmed though. To restore a crackly crust, remove the towel and pop the oven up to 450F for the final few minutes. Glazes can be used on any bread. They provide a glossy sheen to the crust, and, sometimes, make it more crispy. 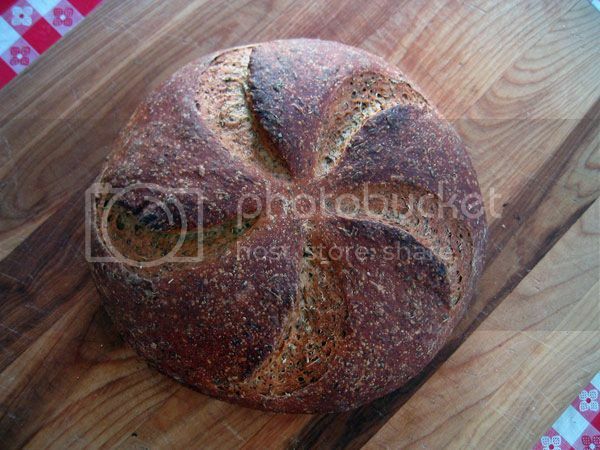 Glazes can also be used as a glue to hold other toppings---nuts, seeds, etc.---to the bread. Glazes should be applied gently, with a clean, soft pastry brush. Try to avoid drips, or actally brushing the pan, because this can glue the bread to it. Even if that doesn’t happen, glazes on a baking pan tend to burn. Glazes can be applied before or after baking. When used as post-baking application they soften the texture of the crust. Each glaze has a different effect on the appearance and taste of the bread. So it pays to experiment. Among the items used as glazes: Egg wash; milk; salt water, honey, olive oil, and cornstarch made into a slurry. For vegans, a mixture of soy powder and water makes a nice glaze. Not all standard techniques work at home the way they do for professionals. For instance, the so-called windowpane test for determining gluten development. The literature says to stretch the dough until you can practically see through it. Maybe so. 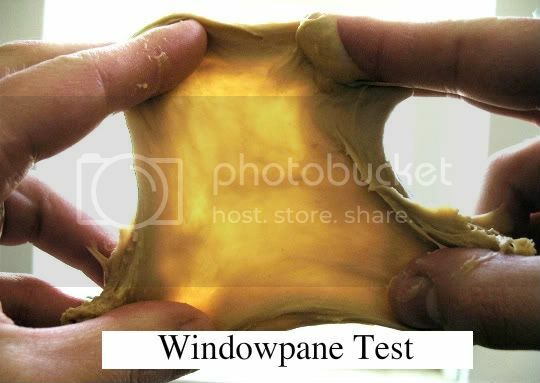 But I have to confess, I have never made a dough that the windowpane test worked with. Yet I’ve made some superlative doughs. So don’t get frustrated with these aspects. Pay attention to your dough, so you learn what a good dough looks and feels like. Question: where would you put things leavened with baking soda and such? Like Irish soda bread or the many kinds of biscuits. Biscuits could be a study onto themselves, I think. Maybe they really aren't bread. I don't know. What say you? It's not my intention to speak for Brook, but I say they would definitely be bread. See tomorrow's edition, guys. It's all about non-yeast breads. Sorry Brook, I thought you were kinda wrapping it up there. I'll wait for the next installment. Great thread. Actually, Rod, I am getting ready to wrap it up. Those tips and tidbits were the finis to yeast breads. Today I'll be posting about non-yeast breads. After that, I don't think I have too much to say. I do recognize the intricacies of biscuit making. But I'm not the one to discuss them. I making biscuits maybe once a year, if that. So, as with sour dough, I'll leave that conversation to somebody who knows what they're talking about. Until now we’ve been discussing yeast breads. There is, however, a whole world of breads that do not fit this rubric. Primarily, they use leaveners other than yeast---mostly baking powder and baking soda---or no leavening at all. They are often “baked” on the range top, or even on a grill. And sometimes they are steamed, rather than using dry heat. I’m including, in this installment, versions of each type. While each of the recipes is tried-and-true, there purpose, primarily, is to show you the various techniques involved. The most familiar version of this sort of bread is pancakes. You start with a batter, rather than a dough; leavening it with baking powder, baking soda, and an egg, and pour disks of this mixture onto a hot griddle. Corncakes, a version of pancakes, are found more in the South than other parts of the country. A real shame, because they make one of the best breakfast breads around. They’re also served as an accompaniment to regular meals. In Colonial days, corncakes were often made with pumpkin puree added to the mix. This added flavor, to be sure. But it also was a way of extending cornmeal supplies. Mix dry ingredients. Add the egg, honey, pumpkin, and enough milk to form a medium thick batter. Drop by large spoonfuls onto a hot, lightly greased griddle. Cook, turning once, about five minutes per side until nicely colored and cooked through. Many breads depend on high heat and steam to do the rising, with no other leavening agents. The classic case are popovers; light, airy morsels nearly akin to soufflés. The first secret to making popovers is to heat the oil content the same time you preheat the tins. This provides that sudden burst of heat, that causes the internal moisture to turn to steam. It also assures a nice crustiness to the popovers. Speaking of tins, special popover tins are now readily available in most stores selling housewares. But there’s no reason not to use muffin tins. I made popovers that way for years. But any cup-like container will do. If nothing else is available, try making them in pudding cups, or deep ramekins. If you’re using individual cups, lay them out on a baking sheet to facilitate putting them in and out of the oven. The second secret to popovers is, no peeking. Let me repeat: no peeking. Opening and closing the oven can cause them to fall, just as it does with a soufflé. Combine the flour and salt in a medium bowl. Gradually add the milk and water, blending well. Beat in the eggs until smooth. Fold in the cheese. Put about ¾ teaspoon of shortening the bottom of each of four popover tins. Put I the preheated oven, three to five minutes, until shortening is melted and very hot. Fill the tins ½ to 2/3 full with the batter. Bake 45 to 50 minutes until puffed and golden. And, once again, no peeking! Another steam-risen bread is made from choux paste. Depending on how you mix it, choux can be used for savory breads, such as the very popular gougere, or sweet ones, such as profiteroles and eclairs. Sweet versions are made with milk and, sometimes, sugar, whereas savory ones just use water. Profiteroles and gougere usually are made merely by dropping the paste by spoonsful onto the baking sheet. With eclairs, on the other hand, the paste is piped into those long logs. There’s a clue in there for shaping gougeres into appealing shapes. Using a pastry tube and a large opening, pipe the paste into shapes that you like: crescents, squares, circles, triangles, whatever. What I like to do is make a selection of spreads. Each of them then goes into its own shaped gougere. For instance, tuna salad might go into the crescents; Reuben spread into triangles; country ham salad into squared, etc. Nor do you have to confine yourself to the standard smallish gougere. When making fish burgers, for example, I bake gougeres the size of hamburger buns, split them, and use them that way. In my experience, choux paste works best when mixed by hand, because it can be overbeaten with a mixer. Bring the water, butter, salt and pepper to boil until butter is fully melted. Add the flour, all at once, and continue stirring until it forms a ball and leaves the sides of the pan. Remove from the heat. Beat in the eggs, one at a time, beating well after each addition. Beat each one until all the shine goes off the paste before adding the next one. Mix in the cheese and mustard, combining well. Shape the gougeres as desired on a baking sheet. Brush with milk. Bake the gougeres for ten minutes. Lower the heat to 375F and bake for 20-25 minutes, or until they are puffed and golden. Transfer to a wire rack to cool. Slit them and fill as desired. Perhaps the largest group, after yeast breads, are quick breads. The word “quick” is used because they do not require the kneading and rising times or yeast breads. But they can take just as long---sometimes longer---to bake. Thus, “quick” refers to the prep time. As with yeast breads, quick breads can be made sweet or savory. Sweet ones are often made with fruits and vegetables, such as the ubiquitous zucchini bread and banana breads made all over. To my mind, these are more cake-like, and I reserve them for desserts and snacks for that reason. Savory versions, such as Irish Soda Breadand most cornbreads, can be served anytime, and are better accompaniments to meals, in my opinion. Cream shortening and 1 cup sugar until fluffy. Add eggs, one at a time, beating well after each addition. Sift dry ingredients together and add alternately with milk to creamed mixture, beating well. Add nuts and lemon rind. Pour into a greased-and-floured 8 ½ x 4 ½ inch loaf pan. Bake for 50-60 minutes. Blend remaining sugar and lemon juice; pour over bread as soon as it comes from oven. Steamed breads---which are an alternative cooking method for peoples who do not have an oven or other way of surrounding a dough with dry heat---sound kind of strange to our ears. But they stretch well back beyond modern history. Long before European contact, for example, the Cherokee made bean bread by wrapping the dough in corn leaves and dropping those packages into boiling water. Old timers among the Cherokee still make them. About the only steamed bread that’s still commonly made is Boston Brown Bread; a heavy, molasses-rich, whole-grain bread that is pudding-like in consistency. Indeed, it’s sometimes hard to differentiate steamed breads from some old-time puddings. If you intend trying it you’ll need to collect empty tin cans first, because that’s what they are cooked in. Standard cans work just fine, but I like adapting this to the larger 28-oz size. The recipe will make four 15-ounce breads or two 28-ounce loaves. Although my original recipe does not use nuts or chopped dates, I like adding a good handful of each to the breads. In a large bowl combine the flours, baking soda, and salt. Stir in the buttermilk and molasses, and fold in the raisins, nuts, and dates. Butter the insides of the cans. Divide the batter among four smaller cans or two larger ones. Cover the tins with buttered foil, and tie the foil in place with kitchen twine. Set the tins on a rack in a kettle and add enough boiling water to reach halfway up the sides of the cans. Cover the kettle and steam the bread over low heat, adding more boiling water if necessary, for two hours. About half an hour before they finish steaming, preheat the oven to 300F. Remove the foil from the cans, and transfer them to the oven. Let the bread dry in the oven for 15 minutes. Release the bread from the tins by running a sharp knife along the inside of the cans. Unmold the breads onto a wire rack and let them cool. Brook, awesome! What a wonderful reference! Thank you for doing this! Perhaps, you could provide some advice on a few ethnic Iberian breads for me ... I shall post the photos ... In terms of the preparatory ... The Yeast, the Rising and the length of time of baking ... Would you require the recipes ( translated ) ? I would like to see those as well, if it is possible! But maybe in separate threads to themselves! I agree that they should be in a separate thread called Classic Iberian Breads; however, my question here is : would Brook require the recipes in order to provide me his expertise, or not ... Could he possibly, know by just seeing the photos ? Then, I would post the recipes; and do it that way ... whatever Brook needs to provide some of his knowledge on my preparing correctly and the most simply. Margi, I'm not quite sure what you're asking. If you have the recipes, then, seems to me, you've answered all your quesitons. And if you don't have them, I don't know how I can help. If you have a few minutes ... Thanks in advance. Darlene, a friend on a baking list, just posted this, and I thought it would make a good addition to the primer.It provides details on the properties and uses of almost all non-wheat flours. Living Without's guide to choosing and using gluten-free flours. of delicious and nutritious flours waiting for you. recipes to your individual preferences. and fiber to your baked goods, fortifying your diet in flavorful ways. flours work well with foods, such as breads, pizza and spice cakes. Try mixing them with tapioca flour, cornstarch and sorghum flour for a hearty, nutritious blend that lends structure and texture to your baking. Store them at room temperature or in the refrigerator. goods, like sugar cookies and biscotti. any distinct flavor. Store at room temperature or in the refrigerator. quickly. To store, refrigerate in an airtight container. How to use: Works well in recipes that contain brown sugar or maple syrup. flour blend or no more than 1/2 cup per recipe. and may brown too quickly. flour (really cornstarch) used in Great Britain. in a sealed container in a dry location. of many all-purpose gluten-free flour blends. Watch out for: The British term for corn flour is really cornstarch. and potassium. Refrigerate to extend shelf life. some cornbread recipes call for just cornmeal. cornmeal or a grind that's too coarse produces a gritty texture. freezer in a tightly sealed container. freeze to extend the shelf life. with celiac disease should consult their physician before consuming oats. protein to balance texture and build structure. a grainy taste and texture and can make baked goods crumbly. slightly sweet taste and imparts a whole-wheat appearance to baked goods. like brown bread or ginger cookies. Store in an airtight container at room temperature or in the refrigerator. for baked goods that should look white. source of nutrition in Ethiopia. It's available in dark and light varieties. whole-wheat taste. Refrigerate for longer shelf life. an airtight container in the refrigerator to extend shelf life. gingerbread. Refrigerate in a tightly covered container. bread with a whole-wheat taste and texture. appearance may not suit delicate, light cookies, cakes or sandwich breads. thicken casseroles, sauces, gravies and stews. such as sugar cookies, white cakes or biscotti. Almond Flour and Almond Meal impart a sweet, nutty flavor to baked goods. cookies for people who cannot eat oats. percent or more in cakes leavened with eggs. an airtight container at room temperature. white powder with different baking properties. of coconut. Usually well tolerated by people who have multiple allergies. People on low-carb diets often bake with 100 percent coconut flour. are not digestible.) Store in the refrigerator or freezer. water is used as an egg replacer in vegan and egg-free baking. much flaxseed or flaxmeal may have a cathartic effect on some people. Introduce it into your diet slowly. Salba Also called chia, salba seeds come from the Salvia hispanica plant. replace one egg in vegan and egg-free baking. systems. Introduce it slowly into your diet. containing all essential amino acids, and is very high in dietary fiber. How to use: Add 1/4 to 1/2 cup to a basic flour blend. with other gluten-free flours to lend a molasses-type flavor to baked goods. Best added to darker bakery items, such as brownies and gingerbread. other flavors in a recipe. increase the nutritional value of baked goods. sometimes lingers on domestic varieties. homemade pasta, breads and pizza crust. in much larger quantities in recipes and has different baking properties. as part of a flour blend. much smaller quantities and has different baking properties. choice in breads, tortillas and pasta. in gravies and other sauces. Great looking boule and ear! How big is that boule and what was your baking temperature? C'est un pain de seigle? A foodie here. I know very little but the little that I know I know quite well.